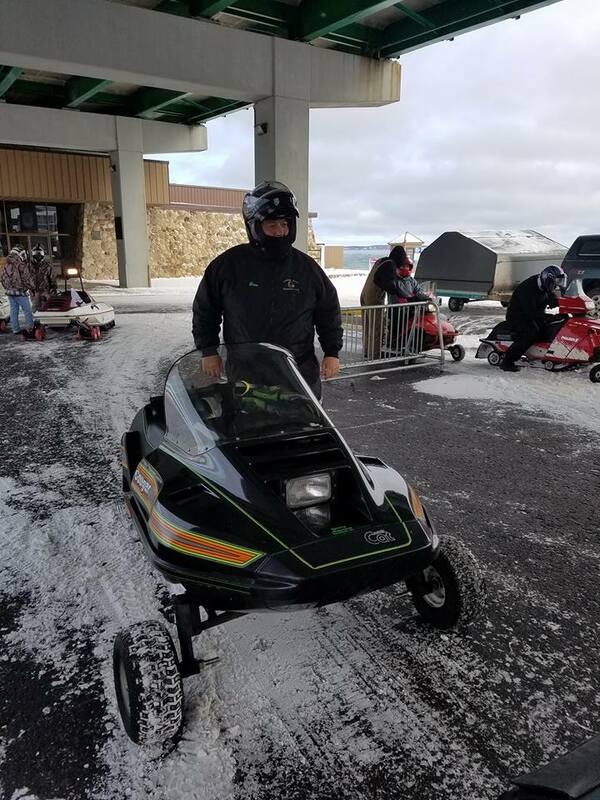 Organized by the awesome Top of the Lake Snowmobile Museum in Naubinway, Mich., Saturday's event was the second annual and an homage to the original snowmobile crossing of 50 years ago. 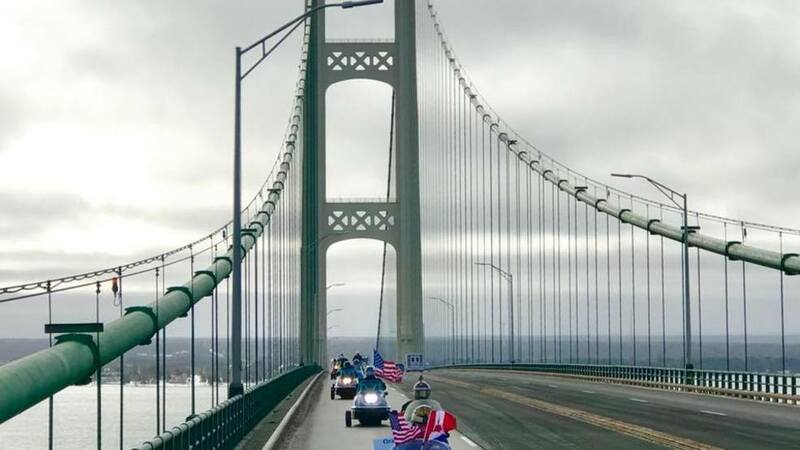 The event started in Mackinaw City and ended in St. Ignace. Sleds had to be at least 25 years old and have a front wheel kit to participate. Doug Lubahn qualified with his sweet Arctic Cat Cougar! Jim Langley, 80, was this year's Grand Marshall. 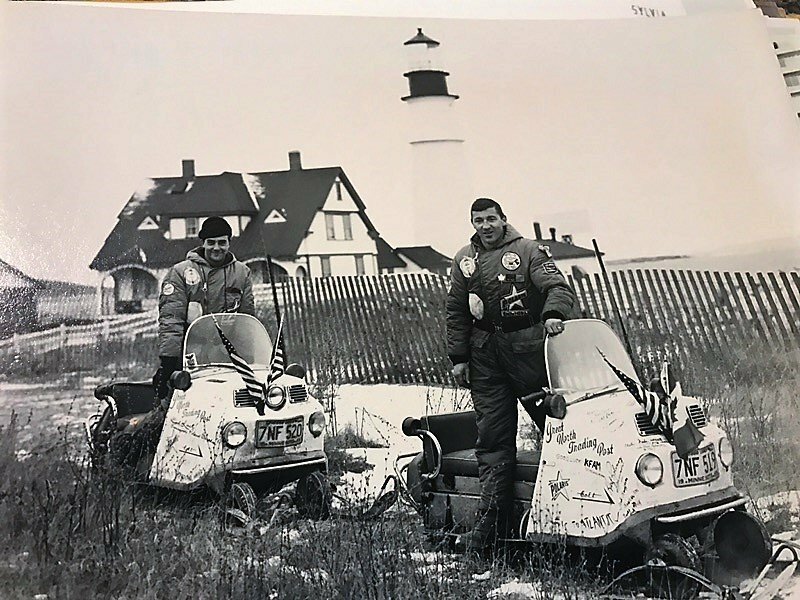 He was one of the two original riders to cross the Mac 50 years ago (above), and he rode his restored 1966 Polaris during this year's event. 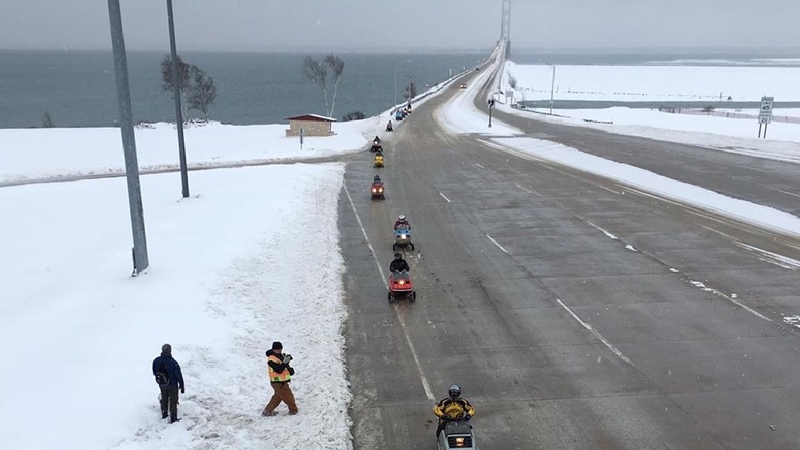 This is the only instance that sleds are allowed on the bridge, however, snowmobiles can cross daily via a program by the Mackinac Bridge Authority that trailers you and your sled north across the Bridge for $10 to access the trails on either side of the Bridge.